An update on the London regionalisation project for individuals and organisations interested in the future of adoption in London. Last week the Association of London Directors of Children's Services (ALDCS) approved the Outline Business Case for Adopt London, the pan-London Regional Adoption Agency (RAA) that 28 boroughs are taking forward with the support of the Department for Education. The proposed model is one that will be hosted by four London boroughs to deliver through four aligned Adopt London RAAs and an Adopt London hub. 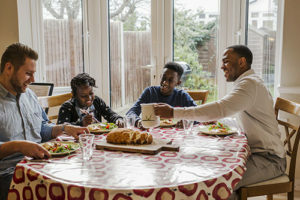 The majority of the specialist adoption work to assess and match adopters more rapidly to children from a pan-London pool and support adopters through the process will be delivered by the four new services, into which Adoption Workers will be transferred from their current boroughs. The hub will enable a single approach to marketing and initial recruitment, as well as the most efficient delivery of functions best done once rather than four times over. Ian Smith is bringing his wealth of experience as a leader of children's services in London to pick up the leadership of the programme from James Thomas for the next phase of work, which will involve working through all the detail of the new service to ensure that it can deliver for children and for adopters, and which will result in a Full Business Case being produced for each borough by the middle of next year. Yvette Stanley, Chair of ALDCS, commented: "I am delighted that we have reached agreement on the way forward for Adopt London, and that there has been such strong collective support for a London shared service which will deliver better outcomes for children, a better experience for adopters and enable us to realise efficiencies of scale." The reasons why the government is looking to regionalise adoption are set out in Adoption, the reason for change policy paper. Previous updates from the project team can be found here.